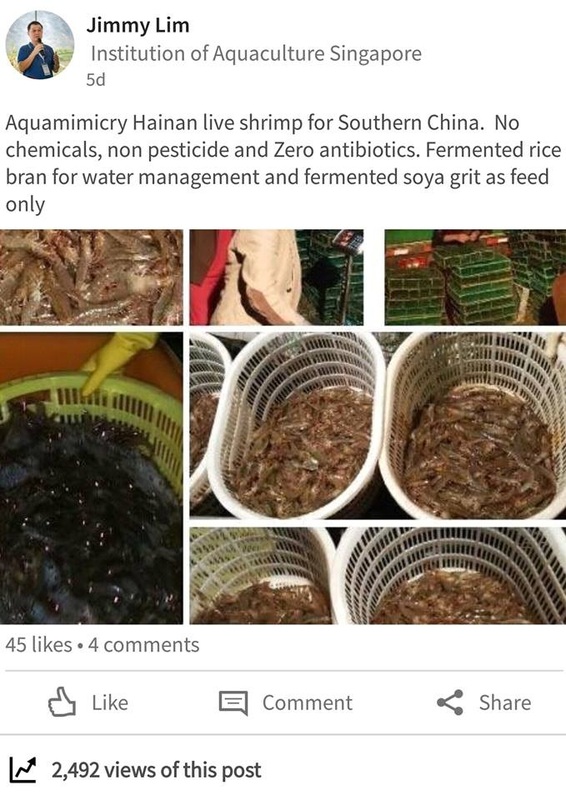 Aquamimicry Hainan first pilot trial on Full Aquamimicry solutions for sustainable shrimp farming. Shrimp farmer has zero based shrimp farming experience. She was in praying beads business. Market: Live shrimp to Southern China. She got 4 rmb (THb25 or USD0.70) above current farm gate price. Coached by Aquamimicry Hainan team. Overcome typhoon period in October 2016 which she had mortality. If not for Aquamimicry, she would have lost her crop. Aquamimicry solutions had overcome typhoon climatic conditions during culture.